Two years ago, an anonymous gay student at IIT Madras authored an article called Standard Deviation. It created waves instantly- someone had finally spoken out, and people were listening. For the first time ever, homosexuality in conservative IITM was a topic of public conversation. Since then, things have changed for the better. The gay student who wrote ‘Standard Deviation’ is not anonymous anymore. Gay films have been screened, panel discussions held, and if you belong to one of the L, G, B or T factions of the Lesbian, Gay, Bisexual, and Transgender (LGBT) community at IIT Madras, you can breathe a sigh of long-overdue relief. In a recent survey conducted among campus residents on the perceptions about the LGBT community, around 8% of the 550-odd respondents identified themselves as belonging to the LGBT population. Around 20% of the respondents, however, were unfamiliar with the abbreviation ‘LGBT’. These numbers, although preliminary, suggest that it is about time that the campus is sensitized to LGBT issues, and IITM’s nascent LGBT movement is a welcome step towards that end. When Karthik Rajkumar, the author of Standard Deviation, approached the Mitr head, Prof. Sivakumar Srinivasan and expressed his desire to start a support group for students of the LGBT community on campus, Prof. Srinivasan agreed that such a system was necessary. Around the same time, Dr. Ramakrishnan, an LGBT-rights activist, happened to come across a Facebook post on the Mitr page regarding LGBT issues. He then wrote to Dr. Sivakumar. Very soon, efforts were underway to organize an event to create awareness about LGBT issues. March 9th 2013 saw the first ever LGBT event organised on the premises of IIT Madras by Mitr in partnership with the NGO SAATHII. The screening of “More Than a Friend”, a homosexuality-themed movie, was followed by a panel discussion held by Dr. Ramakrishnan and a number of members and volunteers with Orinam, a support group for the LGBT community. Response to the event was highly positive, and CLT was full right till the very end. The panel discussion featured Karthik Rajkumar, Nivvedan Senthamilselvan (co-founder of IIT Bombay’s support group Saathi), Dr. Ramakrishnan, Magdalene Jeyarathnam (a Chennai-based psychologist), and members and supporters from Orinam. The discussion centered around their personal experiences with coming out, the scenario before the decriminalization of homosexuality, and the change that is being wrought in the system. They touched upon a variety of topics relating to identity crises, labels, class and social divides, violence towards LGBT people, the rights of transgenders, and the insensitivity of our nation towards things like intimacy. The event was a success in many ways. More than ever before, there is now a perception on campus of the strong need for a support system to be set up. Presently, Mitr along with Prof. Sivakumar is in talks with Orinam and Magdalene to equip Mitr counsellors to organize counselling sessions for the LGBT community. They hope to create a system where students can come out without fear, or seek support anonymously if they wish. The focus is on helping them address any issues they face, and sensitizing the overall community to their needs. One of the initiatives that Prof. Sivakumar is keen on taking up is the screening of movies sensitive to LGBT issues as a part of the Movie Club. Dr. Ramakrishnan is the Country Director of SAATHII, a non-profit organization that works to strengthen health care services and access to justice for marginalized citizens, including those from LGBT communities. He also volunteers for Orinam, a Chennai-based support group that has been working towards the cause of LGBT Chennai-ites. Have you met and interacted with IITians who identify as LGBT? As a grad student, post-doc and teaching faculty in the US (1991-2003), I met several LGBT people from India who had been undergraduates at IIT. In fact, the first LGBT support group for South Asians in the Bay Area of the US was started by IITians. A typical scenario: gay undergrad who knew about his sexuality way back during adolescence, but had not yet come out of the closet, lands up in the US for graduate school. He finds a host of LGBT student groups and activities, a community of people where he does not have to hide an important part of himself. Emboldened, he comes out to his family on one of his trips to India. Standard parental reaction: “You were not like this when you were in India, America has changed you – let’s get you married and all will be well.” Such narratives have had many endings: he persists and his parents eventually come around, or he succumbs to family pressure for marriage, with disastrous consequences for him and his wife. The situation for lesbian women is even worse. Some students reached out to their juniors through LGBT mailing lists and forums, leading to campus-specific listservs such as IITMgays and GayAnna being started in the late 1990s. When I returned to India, I found the situation had improved in terms of the numbers of visible community groups and LGBT activism. The revolution in the LGBT scene at IITs was brought about by two events: one was a petition in early 2011 to the Supreme Court urging it to uphold the Delhi High Court’s landmark decision decriminalizing consensual homosexual relationships among adults. Two of the signatories were IIT faculty. The second event was Karthik Rajkumar’s article in T5E later the same year. The article resonated strongly with many throughout the IIT system as well as with alumni. The essay was discussed vociferously on several forums. Around the same time, LGBT students at IIT-B started their campus group, Saathi – which has now been followed by groups on the Delhi and Kanpur campuses. 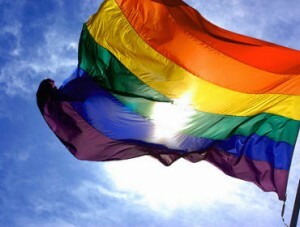 How receptive would you say our campus seems to LGBT support on the whole? It is hard to conclude on the basis of one event, but the initiative by Mitr is highly commendable. It would be excellent if Mitr could also ensure that there are campus counselors who have been sensitized on LGBT issues and can protect the privacy and confidentiality of students who approach them seeking support. What would you say are the major challenges involved in setting up any sort of support system? The key challenge with purely student-led systems is that of continuity beyond the graduation of the students who initiated it. Hence, faculty members and staff are crucial in ensuring the continuity of these groups, as are the availability of additional resources such as counseling and LGBT-inclusive anti-discrimination policies. What would your advice be to the student community? At IIT, chances are that you will meet a much more diverse section of the population than you did before, and your own assumptions and convictions will be questioned vigorously. Try to get to know people as individuals instead of relying on stereotypes, and you will be amazed how much everyone has in common. If you are from the LGBT community, be aware that some of what you may perceive as hostility or homophobia may stem from plain ignorance or lack of exposure. If you are contemplating coming out, do so to friends of whose support you are absolutely sure. Know that you have support in terms of LGBT resources in the city, and, optimistically, on campus as well. Finally, give your parents time: they often have less of a support system than you do, and require patient engagement to understand that this is not a sign of rebellion or ‘Western’ influence, but an intrinsic part of yourself. While you were at IITM did you ever feel comfortable about the idea of coming out? If no, why not? I only came out to select friends, who I knew would be supportive. I did consider coming out more generally, but I decided to put it off. In hindsight, I think I took the right decision – coming out is a stressful process and I don’t think I was ready for all that stress at the time. How would you describe your time here? Was the campus LGBT-friendly? I really value my time at IIT-Madras. It gave me the space to grow as an individual and to figure out my interests and my path as a young adult. Accepting that I am gay was part of that process, and ready access to information on the internet was really useful in this regard. I think one of the biggest advantages at IIT was that I got to live away from home fairly early in life, and was therefore able to evolve in a way that might not have been possible under my parents’ shadow. But the campus certainly wasn’t LGBT-friendly during my stint at IITM. For me, the most difficult aspect of being gay at IITM was the blanket silence on topics related to alternate sexualities. When brought up in hostel conversations, homosexuality and gender-deviance were matters of farce and slapstick humor. Explicit hostility is often easier to deal with than this type of invisibility and marginalization. Of course, these problems were not exclusive to IITM. However, I think we have witnessed some rapid changes in recent years – the 2009 Delhi High Court judgment in the Naz Foundation case is both a result and a driver of these changes. But more efforts are needed, particularly within the institute. The recent panel discussion organized by Mitr and SAATHII, and the positive feedback it received is certainly a good sign. What are your thoughts on the steps Mitr is taking, to offer counseling and support for students of the LGBT community? Do you think this would’ve made a big difference to you had it been there while you were on campus? Mitr’s offer of counseling and support is certainly laudable, and it is an important step forward for the institute’s LGBT community. I am also happy that Mitr is working with Orinam. which played a very important role in my personal development as a college student. I can’t imagine being where I am at the moment – personally and professionally – without the support I got from my friends at Orinam during those formative years. That said, I would certainly have availed of these services if I could depend on confidentiality and professionalism from the counselors. I think that improving support services for LGBT students should be part of a more general effort in the areas of sexual education and mental health services. The lack of these services might be particularly felt by LGBT students but I think it is in the interest of all students to demand for a professional approach towards improving student life. Is there anything you would like to convey to the student body and the members of the LGBT community on campus? First, my hearty congratulations to Karthik Rajkumar for his extraordinary achievements in bringing LGBT issues to light within the IITM campus. To any LGBT students who are reading this article: I know that some of you might think of happiness as an impossible prospect. But cliched as the phrase is, it does in fact get better with time. I was not comfortable coming out at IIT, as issues pertaining to sexuality were seldom talked about; but it was clear that being LGBT was unheard of, and was not OK. Calling someone gay was a form of ridicule, and the atmosphere was one of homophobia. I was terrified of my peers finding out that I identify as gay. My time on campus was a long time ago, so a lot of things could have changed. IITM was definitely not gay-friendly campus back then. Most of my time on campus was filled with anxiety, because I was not just gay, I was also in a relationship with another guy, and the thought of being found out was terrifying. Yes, Mitr would certainly have helped. There is a need for anonymous ways of providing support, not just in person, but also online or over the phone. Anonymity is key if you want to reach out to those who haven’t come out – and they’re the ones who need it the most. A peer group often helps for those who have already come out. It is important to start a student-run club, have regular panel discussions, and sensitize all students, professors and staff on this issue. I did not have any support system, and this took a huge toll on my mental and physical health. I thankfully found a meditation course taught by Art of Living during my stay; and to my surprise the techniques taught there really helped me come out of depression and anxiety. I’d highly recommend it to anyone who can afford the course. Right now, my work with the LGBT community here in the US revolves a lot around spiritualizing the community to find happiness and acceptance and at the same time giving them tools to let go of past stressful experiences. To the LGBT members on campus: being LGBT makes a person colorful and interesting, but at the same time, don’t forget that you are bigger than the category and have more to your personality. The most important thing is to be natural – not to force any change on oneself. It’s very important to build faith that help is definitely out there, and no matter what, you are being taken care of. I also know that, at your age, being in a relationship may be perceived to be of prime importance, which leads to stress for LGBT students. But whether you’re single or in a relationship, you can choose to be happy wherever you are, and you have the ability to get past any challenges you may face. It’s important to ask for help when one needs it, and for those who are ‘out’ not to be judgmental about those who are not. To the general student body: It is our responsibility together to create a safe space where people feel comfortable to be themselves. Awareness of prejudices, the words we choose to use, the words we use as derogatory terms: all this matters. There’s no need to treat someone who’s LGBT differently – just know that that identity is a flavor of their personality and treat them like you would any other friend. You are known as one of the academics that strongly supported the Delhi HC’s decision to decriminalize homosexuality. What led you to become such a strong proponent of LGBT rights? Frankly, it seemed like the only thing to do! But more seriously, I graduated from a university where issues like caste and gender were fiercely debated. There was no way we could stay “neutral” or not engaged. And LGBT rights are human rights – the way I see it. I can’t stand up for the rights of women and not see that it is linked to the rights of other groups of people. A few ‘out’ students have said that the IIT-M campus is very gay-friendly. Would you agree? I think it is only those students who identify themselves as LGBT who can say whether or not the campus is gay-friendly. But I do think that on the whole there is a fairly large number of progressive faculty and students on the campus and that can help. Would you like to convey anything to the student body? Just this: that they should never be afraid. And also, that they should be equally sensitive to other sorts of human rights because ultimately the issue of rights is linked. You can’t have a free society if you keep some people down. Two years after Standard Deviation, things are certainly not the same. The dialogue that it spurred has not been short-lived. If we are not yet an LGBT-friendly campus, it is heartening to know that we are taking steps to get there.